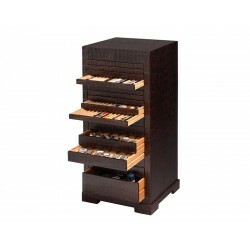 Allow yourself to be surprised by our new selection of display chests to store fountain pens. 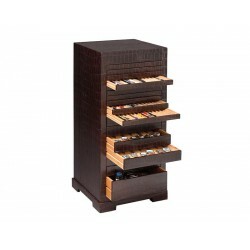 Discover the great variety of furniture that Absolute Breton exclusively offers for collectors of luxury fountain pens, and pride yourself on unique pieces handmade by artisans with more than 30 years of experience. All the display chests for fountain pens that we manufacture at Absolute Breton are made using genuine leather from Ubrique and the most traditional leather production techniques. Designs are special and they can be customised at the clients' preferences, either they are individuals or jewellery and stationery businesses.